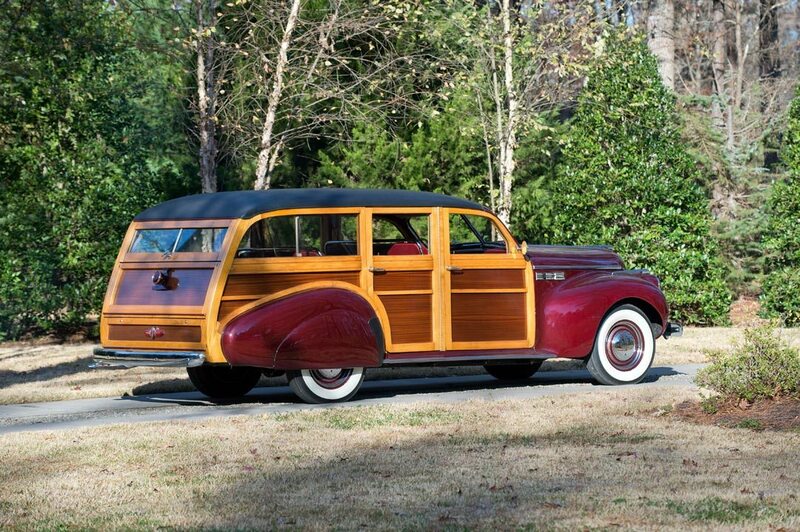 Today, it is truly rare to find any real wood on a production car, and it has been many decades since any US automakers used wood as part of the frame or body of a vehicle, but the fascination with the craftsmanship associated with a vintage woodie lingers with all car enthusiasts. A finely finished wood-paneled automobile like this lovely Buick is a splendid anachronism, and is looked upon as a beautifully finished piece of fine furniture on wheels. The Buick Super Estate Wagon was first introduced in 1940. According to Buick authorities, the genesis of the concept came from the wife of Hollywood film director Norman McLeod. Her good friend, Buick chief Harlow Curtice asked her why there were no Buicks in her garage. “You don’t build a station wagon,” she reportedly replied, and the wheels began to turn. On the train back to Michigan, Curtice and GM design chief, the legendary Harley Earl, sketched out what was to become Buick’s first production station wagon. Buick’s ad man Arthur Kudner coined the term Estate Wagon, and Biehl Body Company was brought on board to build the prototype. It was so well received that 500 Estate Wagons were commissioned soon after. Fittingly, Bunny McLeod was given body #1 in a surprise presentation at the Coconut Grove on Wilshire Boulevard in Hollywood, and she enjoyed the car for many years on their ranch. Over 5,000 hours of documented restoration was lavished on this Royal Maroon beauty. The Northern Ash and African Mahogany woodwork is entirely new and was strengthened with modern glues and techniques, and then finished with 40 coats of clear lacquer. 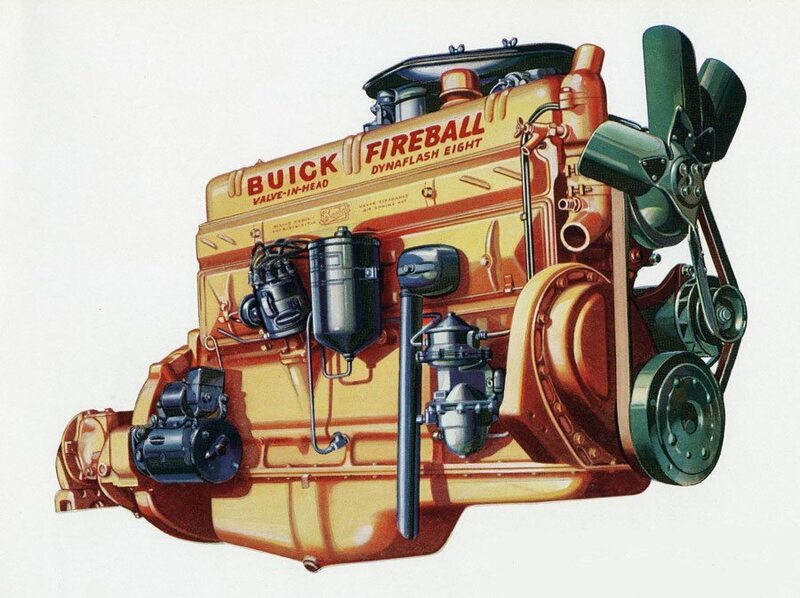 The engine bay is similarly in clean and correct condition, and the owner reports the Buick “is one of the quietest and most reliable cars in my collection”. Well equipped with the optional under-seat heater and under-dash defroster, the attention to detail is simply superb, and this elegant Buick Estate Wagon has earned it’s AACA First Prize, the Buick Club of America’s Senior Award, an AACA Senior Award in 1998, and a Class Award at the Meadowbrook Concours d’Elegance. 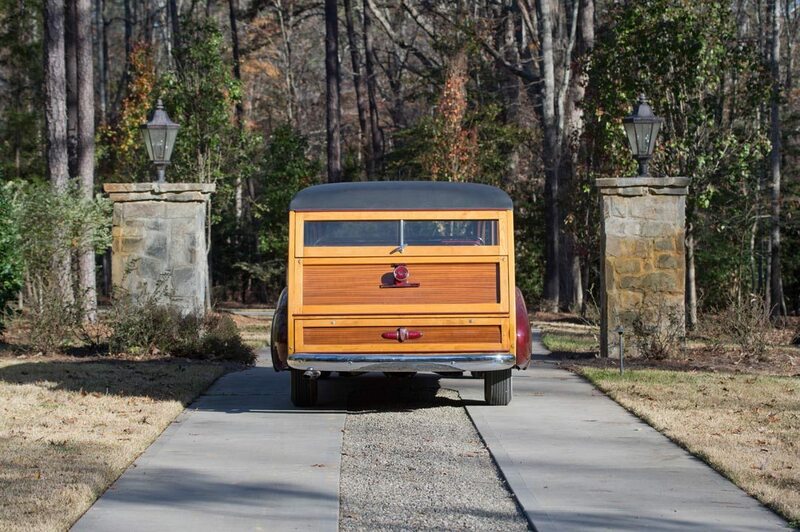 This fine Estate Wagon remains in excellent condition today, and is just as clean underneath as it is inside – a testament to the fine care it has always received. The spectacular all-wood interior is beautifully finished, and complements the supple leather interior and deep Maroon paint in classic style. The Buick Club of America estimates that only about 12 1940 Buick Super Estate Wagons have survived, and all are in the hands of quality long-term collections. This well-known Estate Wagon has been honored with the finest awards a Buick can receive, and is an inspired automotive masterpiece. If you have an early model Buick or another collectible you’d like to insure with us, let us show you how we are more than just another collector vehicle insurance company. We want to protect your passion! Click below for an online quote, or give us a call at 800.678.5173.